John's first camera was a Kodak Darkon 616 with expandable bellows that belonged to his father. His first shots were taken when he was eight. His parents decided that John was too young for a hand gun, so he started "shooting" pictures instead. John has always had a passion for the arts and that has driven him to experiment in many mediums including wood working, metal working, Raku clay, sculpture, glass blowing, oil and water colors, airbrushing and always photographing process and results along the journey. John has been an avid scuba diver since high school and that led to a passion for underwater photography. His underwater photography assignments took him up and down the California coast, Channel Islands, Australia, New Zealand, Cayman Islands and the South Pacific. John started shooting weddings in the 80's, with his spouse, using a Rollieflex twin lens reflex camera and a Hasselblad system. He pioneered the use of a radio slave and independent strobes, a technique that few wedding photographers were employing at the time. John then turned his attention to landscape work and studio-based commercial product photography. The Kodak camera of his childhood led to a lifelong fascination with mechanical devices and cameras. His love for working with fine cameras have included many years with a Rollieflex, Nikon F2 and Hasselblad 500-series. 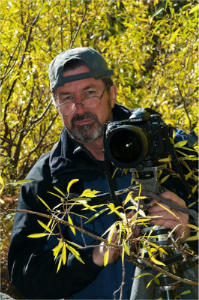 In 2003 John made the jump to digital, first with an Olympus E-15, later the Nikon D200 and currently the Nikon D300. John has studied with Monty Zukerman, Ernst Wilde and Wayne Hasson.